Hi! We're Karen and Jeremy, the founders of UO Fan Guide. We love Universal Orlando Resort, and we want you to love it, too. But that doesn't mean we won't give you our honest opinion on every attraction inside and outside of the parks. Let's face it: some attractions are just better than others, and we aren't afraid to say which ones we think are the best (and the worst). That said, we do encourage you to try everything Universal Orlando Resort has to offer. Every attraction that someone dislikes is an attraction that someone else loves. Only you can decide what you like and what you don't. Profiles, image galleries, and unbiased reviews of rides, shows, play areas, restaurants, shops, and other theme park attractions. 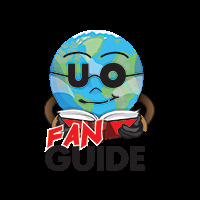 Comprehensive guides (Fan Guides) for Islands of Adventure, Universal Studios Florida, hotels, and more. A regularly updated blog with theme park news (especially Universal Orlando news), travel and touring tips, expert interviews, and more. If you have any questions, comments, event updates, or press releases for UO Fan Guide, or if you are interested in learning more about advertising rates, please use this contact form to get in touch with us. We will respond to your questions or comments as soon as possible.